It is vacation time again and you must be feeling the itch to travel to hills and unwind yourself for a couple of days. Shimla hotels are all full besides Shimla city is not an ‘ideal’ place for a vacation. Need proof.. just see the post below!! Some good destinations around Shimla with decent places to stay is all I am going to discuss today. 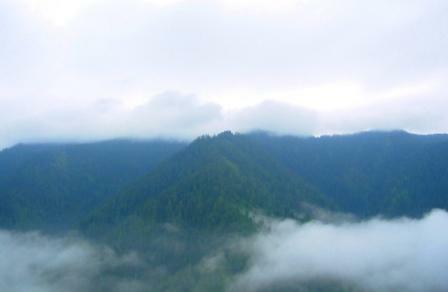 Fagu is 17 km from Shimla and the views are just magnificient. It is just 3 km away from the over crowded Kufri. It can become chilly in mornings and evenings but day time is pleasant and there is snow around. Few good options to stay are the Ras Resort, Galleu Hill Resort and Star King Resort. My recommendation is the HPTDC Peach Blossom but you would hardly get a room there as it is the first one to get booked. Further ahead of Fagu and a 2 hours drive from Shimla is Narkanda. Welcome to my country! At an height of 9500 feer you feel like in heaven. The air is crisp and clear. Enjoy the O2. At Narkanda, staying options are limited. Narkanda Resort and HPTDC Hotel Hatu are good options. Narkanda Resort is recommended for staying with some great views of Narkanda Valley. One can also stay in the low priced Hotel Mahamaya and Kainthla’s guest house. There is a Circuit House at Narkanda which has some amazing views. Bookings for CH has to be made through the DC office at Shimla. If it’s your lucky day and rooms are available, a small baksheesh to the Chowkidar can fetch you a room. Rooms costs 600/- here. Another PWD rest house at Narkanda is also available and the XEN office of PWD at Kumarsain can confirm you a room here. In picture, is the Narkanda Resort. Chail is another destination around Shimla for New Year. You all know the back ground of this place… I will not go into that. HPTDC Palace hotel is the number one option and since it’s renovation the place is more in demand. Other options are Hotel Oakwood, Lions, Grand Sun Set, Monal, Rashi Resort. Plenty of hotels there. In case you are a man / woman of style – Tarika’s Jungle Retreat is also available which is a top end hotel. 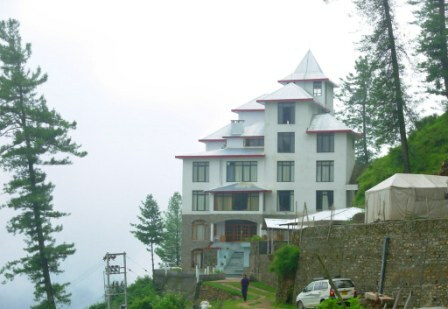 Here I must also mention a cosy hotel on Kufri – Chail road known as Cedaar Heights. Highly recommended. Coming to good old Mashobra – Naldehra, Some good hotels are Rock Heaven, Wood Stock, Koti Resort, Whistling Pine, Golf Links and the HPTDC Golf Glade. For high end seekers, there is The Chalet, Marigold Cottages and the Mashobra Spa and Resort. Naldehra is quite convienent from Shimla and all these places are 40 minutes drive on a clear road. I mean no snow. There are two hotels near Dhalli on Kufri Road – Woodrina and Woodpark. Nice small hotels with loveable owners. Kasauli also offers some good hotels. Baikunth and Kasauli Resorts are the all time favorite. Kasauli Castle also offers good accomodation. Kasauli Regency nearby is again a decent hotel. Another new hotel in Kasauli is Hill Pride Resort offering good rooms and nice view of Kasauli. Winnies Holiday Inn offers decent cottages and is a family run hotel. If you are looking for a villa accomodation then Suryavilas is the place to be. This hotel is situated 2 km from Gandhigram on the Kumarhatti – Nahan road, at a distance of 4 km from Kumarhatti. The hotel is ideal for unwinding and a relaxed vacation for the year end. So plan your vacations around Shimla and welcome the New Year in style!